Remember that cringeworthy image we shared with you that showed 20 different embarrassing Android-powered iPhone X copycats in a single graphic? Well guess what: even more iPhone X ripoffs are on the way. The next high-profile iPhone copycat set to be released is the LG G7 ThinQ, which LG announced on Tuesday will be unveiled at a press conference on May 2nd in New York City. That notchy iPhone lookalike is already included on the aforementioned image, though. 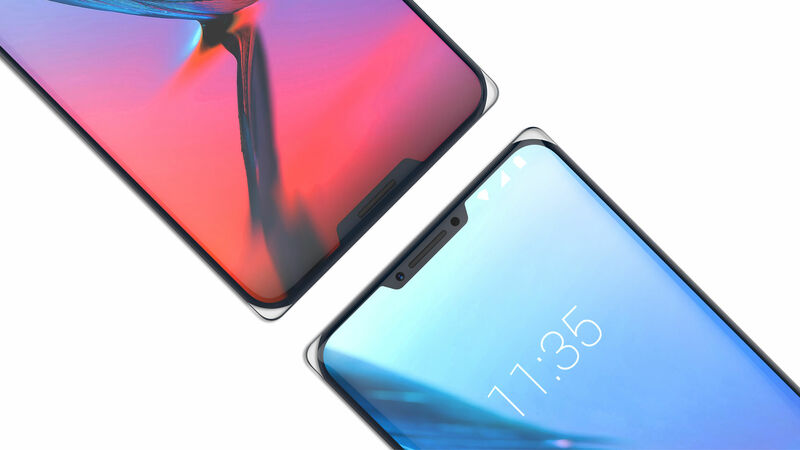 There’s another new notched Android phone set to debut in the coming months, however, and this time around the company behind the handset has a new take on Apple’s notch. ZTE likes the notch on Apple’s iPhone X so much that the company has seemingly decided to copy it not once, but twice on an upcoming flagship phone. That’s right, a notch at the top of the screen isn’t enough for the rumored “ZTE Iceberg,” supposed renders of which were published by iF World Design Guide. As you can see in the render above, the ZTE Iceberg will apparently have a notch in the display at the top where the ear speaker, front-facing camera, and other sensors are situated. Additionally, we can see a second notch at the bottom for the microphone and possibly a second speaker for stereo sound. It looks… interesting. Apart from the dual-notch design, little is known about the phone for the time being. The phone seemingly uses a glass sandwich design, which is quite common among flagship smartphones right now. Samsung has used glass front and back panels on the past few Galaxy phone generations, and Apple has glass on the front and back of its iPhone 8, iPhone 8 Plus, and iPhone X. The Iceberg has a unique take on the design, however, as the metal mid-frame doesn’t extend to the edges of the phone. Instead, it appears to have a unibody glass design with clear glass corners. It’s unlike anything we’ve seen before, and it actually looks pretty cool. It’ll also likely be the most fragile smartphone of all time, if it does indeed launch with this all-glass design. The report states that the ZTE Iceberg will launch sometime after 2018 and it’ll be targeted at multiple markets including Europe, Asia, and North America.